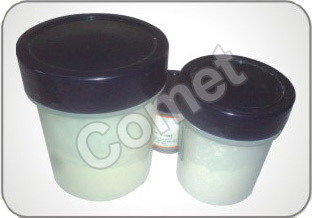 Comet is also known to offer some of the finest diamond powder that can be purchased in the market today. The reason for this popularity is the fact that it is churned and packaged with utmost care and that in turn ensures the efficacy of the powder. The diamond powder finds use in bringing back the shine of objects ranging from glass to ceramics. This powder is suited for objects where the surface tolerance is a mere few microns and precision as well as a high surface finish is of utmost importance. In addition, micron powders are extremely fine in nature and they also have a well-defined range. The range is decided by grade designation of the powder, which is why not a lot of companies are known to offer superior quality diamond powder. Comet, however, offers micron powder that has particles, which are shaped like blocks. This provides the powder the ability to offer precision cutting as well as consistency in size and the rate of stock removal. Incepted in the year 1985, Comet Engg. Co. is counted among the most reliable names engaged in the manufacturing of Diamond Dressers. The company deals in an extensive assortment comprising Single Point and Multi Point Dressers, Indenters, Diamond Powder and Paste, Diamond Grit Impregnated Dressers and others. Offered at the most competitive prices, our entire gamut of Diamond Dressers can be customized on the basis of individual requirements and user applications as specified by our clients. The foundation of the company was laid by Mr. Deepak Kumar, a qualified engineer and alumni of IIT (Indian Institute of Technology). Possessing extensive knowledge and experience of the diamond industry, Mr. Kumar’s optimistic outlook and dedication towards his work has inspired the team to put in their best efforts and make the company scale new heights of success.